How do you help embed the content of social studies into the minds of your students? Would they rather listen to a monotone lecture and take notes about the Northwest Coast or write about raising their own totem pole on the Northwest Coast? Research states that writing across the disciplines will help students retain the information at a deeper level. It also states that it helps boost student performance. Writing actively engages the children and demands thought and reflections. Believe it or not, it can be a motivational tool. 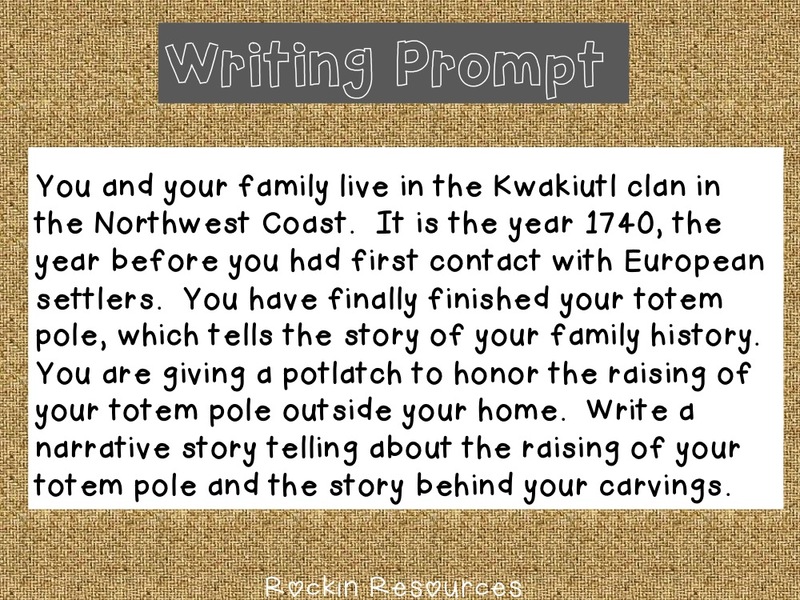 Many times when I introduce the totem pole writing, my students will start off with a groan, but then delve into the task and be excited. 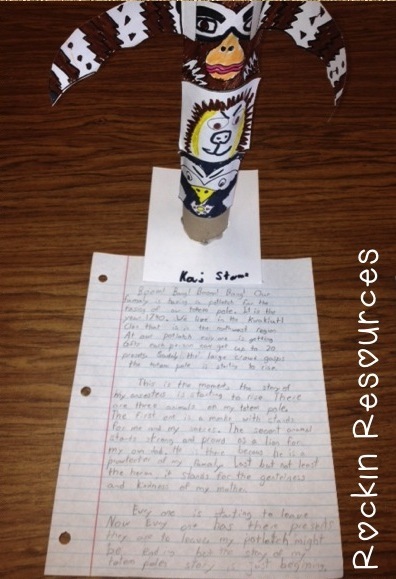 I have students come back year after year and tell me how much they enjoyed the totem pole writing. 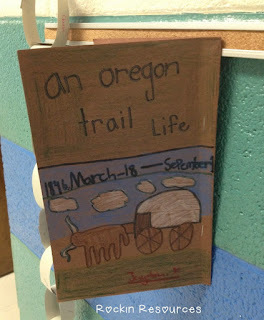 If you find a personal connection or a "fun" way to incorporate writing into Social Studies, then students won't find it as being a tough chore. They will remember the project and especially the concepts behind it as it becomes a part of their embedded knowledge! The push for Writing Across the Curriculum has been strong for many years. The reasoning behind it is the belief that it promotes critical thinking. The director of English Language Arts for SMARTER Balance, Barbara Kapinus stated, "It's a way of getting to deeper levels of thinking." 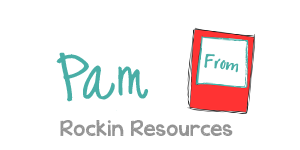 Just like students should be reading across the curriculum, they should be writing as well! 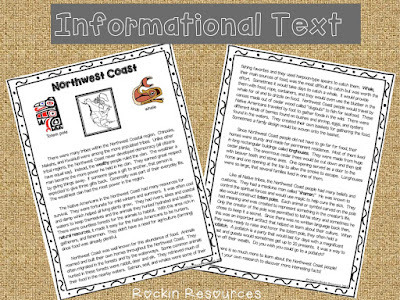 Integrate writing in Social Studies! In Common Core writing, students are required to write short and long writing pieces. 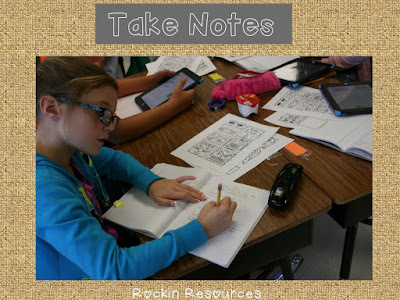 Examples of short writing pieces can be journaling, note-taking, quick-writes, and reflections. Longer writing pieces can be narratives, personal narrative, opinion, research-based argumentative, informational, etc. Remember how I talked about the totem pole writing? 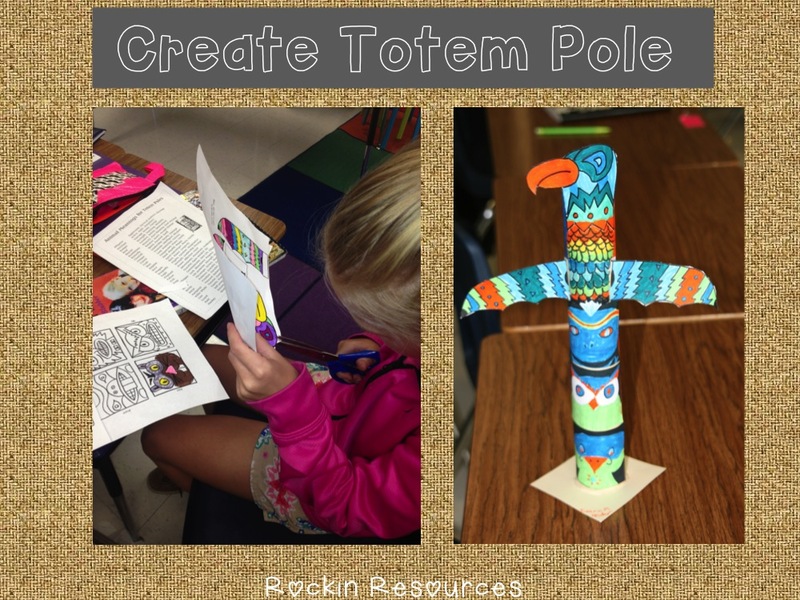 While studying Northwest Coastal region in our Native American Unit, it is important to discuss the totem pole tradition. This is the steps leading up to the writing project. 1. 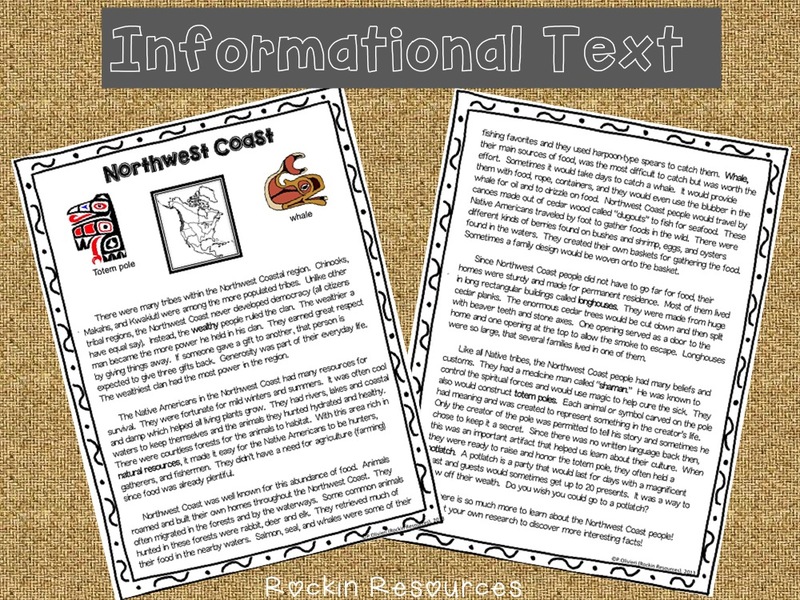 Read informational text about the Northwest Coast and totem poles. 2. Research animal meanings to make connections with three of them to represent you or a family member. 3. Take notes on the three choices. 4. Create a totem pole. 5. 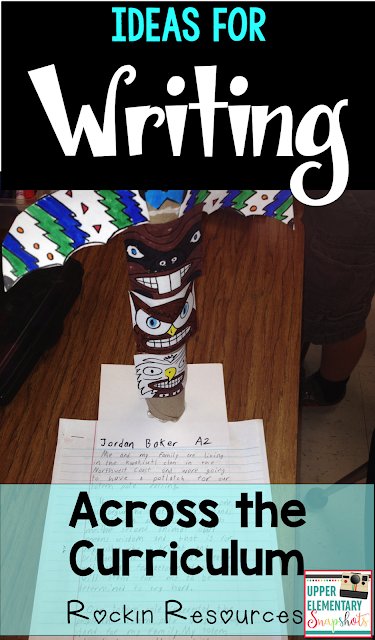 Now students have the honor writing about their very own totem pole! Help the writing teacher out (especially if it is you)! Ask them to follow the Writing Process when writing in social studies. Final copy: Waahhhhhllllaaaaa! They can't wait to take them home and parents love them too! Compare and contrast two explorers that you are studying. Do they have similar or different hardships? findings? routes? Using different colors, map out their routes. 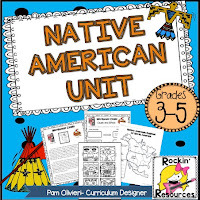 After providing information or text about Spain in the New World: Pretend you are a Native American. Write a letter to the Spanish viceroy persuading him to free you from the missionary, plantation, or gold mine. Create a 3-D shoebox of this place of captivity. Choose one group from the Revolutionary War. (Sons of Liberty, Daughters of Liberty, Women in War, African Americans, Minutemen, Native Americans, French soldiers, Loyalists, British King and Parliament, Continental Army, British Army) Pretend you are reporter and interviewed them during the war. Write an a newspaper article arguing their point of view about the issues from war. After reading Across the Wide and Lonesome Prairie. It is 1846. Your family has decided to be adventurous and move out west! What trail will you take? Your cousin, your best friend, has to stay behind. You promised to keep a journal of your experience to share with him/her one day. 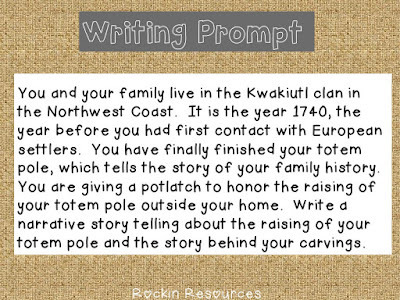 Write 6 journal entries including dates that were actual traveling dates from that era. Your journey will take 4-6 months so space out your entries. When finished, create a cover. You may crinkle it to make it look dirty for authentic effects! 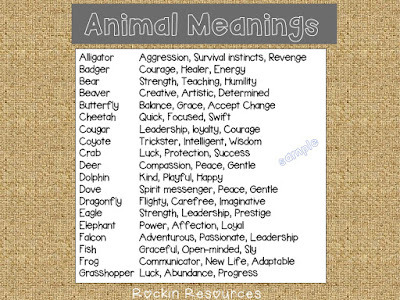 The product gives a list of specific things to include in the each entry- hardships, encounters, etc. You are an artifact from the Civil War. Tell about an event in the war that you witnessed or even experienced! Where you found in the North or South? What is your point of view of the event that took place? Click below for more ideas. 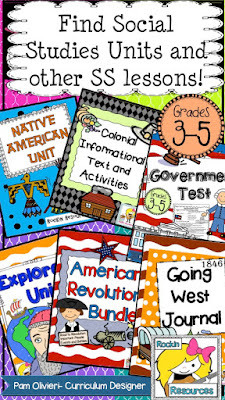 All of my Social Studies units include writing to increase depth of knowledge for history content. If you have Social Studies lessons that include writing to enhance critical thinking in students, feel free to list them in comments! And special thanks to Sonya Dehart Backgrounds and Hello Fonts!